Please pardon our website as we are migrating to a new site that will be coming soon! South Jersey's Premier Electronic Cigarette & Vape Shop. We have the greatest selection of equipment, the largest selection of USA made liquids and the best customer service staff in South Jersey! Now with 2 locations - In Cherry Hill & Deptford / Woodbury, NJ! 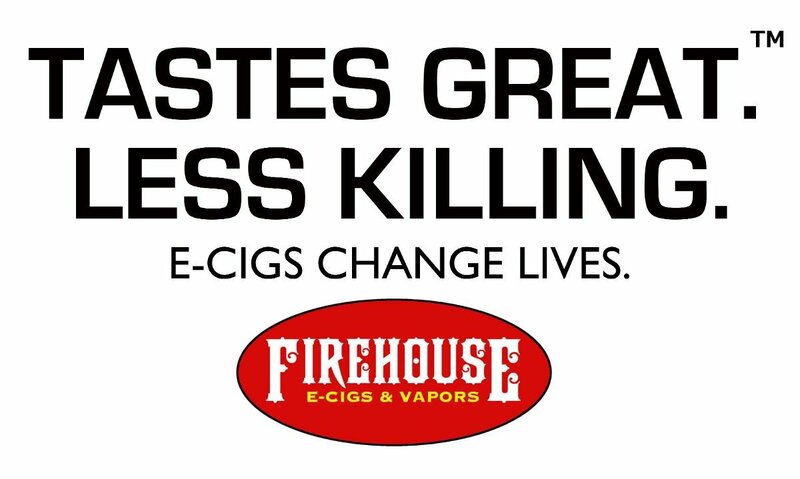 Welcome to Firehouse E-Cigs & Vapors, Cherry Hill's first & finest vape shop! We pride ourselves on our friendly and knowledgeable staff, our high quality products, competitive pricing and unmatched service & support. We carry a full selection e-cigs and accessories for everyone from the "first time" user to the advance vape enthusiast. We carry a full selection of the top hardware in the industry including Kangertech, Aspire, Eleaf, Sigeilli, & Pioneer4U in addition to a large number of other top brands. This is not the cheap stuff that you’ll find in convenience stores and flea markets. These are the kind of products that have spawned this industry. Our e-liquid selection is second to none. With more than 160 flavors from some of the most prominent manufacturers in the USA, Firehouse is certain to have many flavors to suit your palate. Our staff is second to none. We are former smokers who have successfully made the switch to e-cigs. We have the experience and knowledge to help you get the most from every visit, and the ability to answer any questions you may have about vapor products. Electronic cigarettes are easy to use and much cheaper than traditional cigarettes. You’ll make the switch in no time. Whether you’re trying to quit smoking and want to make the transition into electronic cigarettes, or you’re an experienced vaper looking for the best equipment and liquids we have you covered!